I'm Here. I'm Queer. What the Hell do I read? 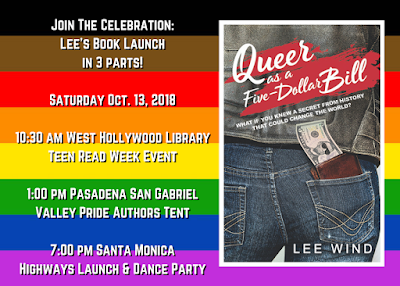 : Today's My Book Launch Celebration - All Day, All Over L.A.! Today's My Book Launch Celebration - All Day, All Over L.A.! 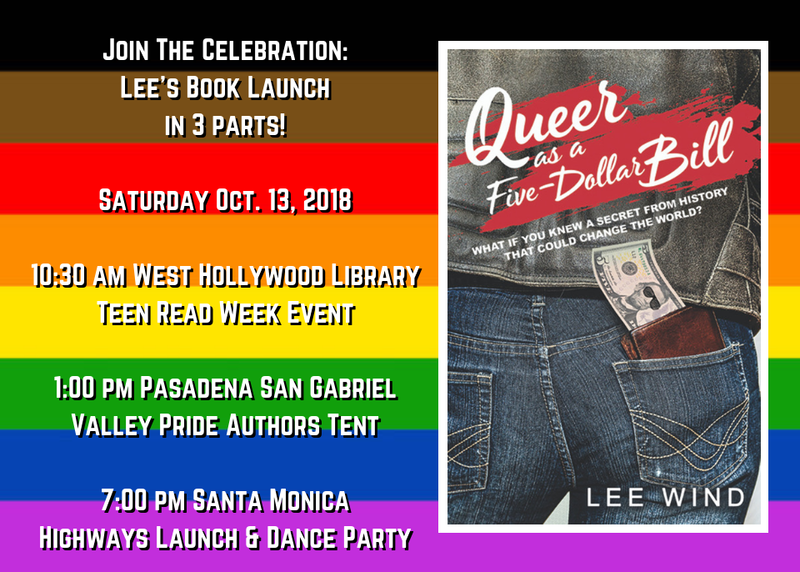 It has been a quite a journey to get to this amazing moment, and I'm hoping you can join me at one or more of these events today, Saturday October 13, 2018, to celebrate the publication of my debut teen novel, "Queer as a Five-Dollar Bill". The day will start at 10:30am-11:30am in West Hollywood, with a Teen Reads Week event at the West Hollywood County Public Library's West Hollywood Room. I'll talk a bit, read from the book, answer questions, and do a signing. 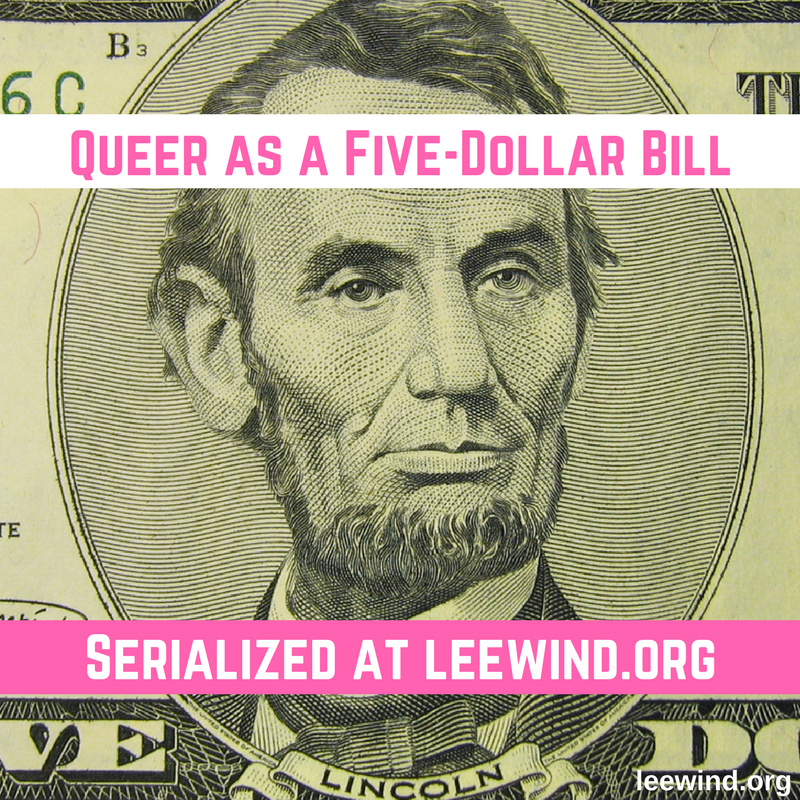 Address: West Hollywood County Library, 625 N. San Vicente Blvd., West Hollywood, CA 90064. The day's big finale is at 7:00pm-10:00pm, with a Party at Highways in Santa Monica. 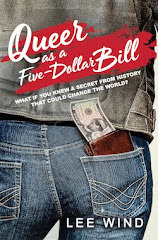 We have the entire theater for a talk, reading, Q&A, signing... and a BIG DANCE PARTY! There will be fruit, and desserts, and sparkling apple cider to toast to this book that is heading out into the world to make a difference in LGBTQ teen lives. Address: Highways Performance Space, 1651 18th Street, Santa Monica, CA 90404. If you're local, or are in Los Angeles, I'd love to see you! Photos from My Amazing Book Launch Party Weekend!